Arkie Sparkle has treasure number two to get. If she is going to find her parents she has to track down seven treasures. This one takes her back to the reign of the First Emperor of China. She isn’t alone, along the way she is ably assisted by her genius cousin TJ and TJ’s dog Cleo. 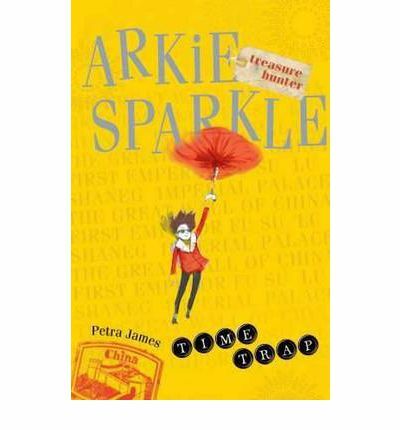 They time travel back and Arkie pretends to be an immortal in order to get into the Emperor’s palace. This doesn’t work out quite as she expects when she winds up in a cage. How is Arkie supposed to find the treasure while trapped? Book 2 of a fun little adventure story packed with action and historical information. Arkie is determined to do the task set before her but goes with impulse rather than planning. TJ is more of a planner and a good counterpoint to Arkie. The story itself is interesting, with a few illustrations and the historical facts scattered throughout are interesting. A good choice if you are looking for something adventure based for 8/9 year olds.